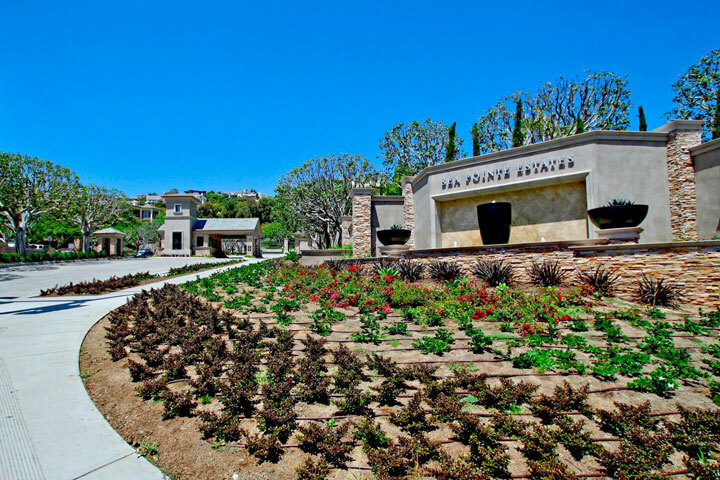 Sea Pointe Estates is a collection of custom luxury homes here in San Clemente that begun construction in the early 1980's where large custom homes were built often with stunning panoramic views of the ocean, canyon, San Clemente Pier and Dana Point harbor views. Sea Pointe occupies one of the best locations that offers the ultimate in views and privacy. Located behind a very secure 24 hour guard gate, Sea Pointe Estates is the epitome of Luxury here in San Clemente. If you are new to the San Clemente and looking for a large custom view home then Sea Pointe Estates is a great place to start. Homeowners association dues are low and you will find no Mello Roos in Sea Pointe Estates. All the Sea Pointe Estates homes for sale are listed below. We also provide information for all Sea Pointe Estate homes sales for the past year as well Sea Point Estate rental information. If you are looking to build a brand new custom home then you will pleased to find out that there are still many prime pieces of land that have not been developed in Sea Pointe Estates. Not all of them are for sale but do come on the market from time to time. Please feel free to contact us 949-291-0424 with any questions regarding Sea Pointe Estates. $200,000 - $500,000 Price Range. "Sea Pointe Estates San Clemente Homes currently start at $500,000 which currently 5 homes for sale under the $1 Million dollar mark Where is Sea Pointe Estates? The community is featured on the... "